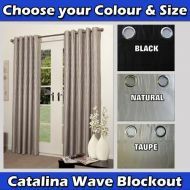 Our blockout curtains will protect you from the harsh summer heat in Australia. Exposed windows without the right curtains and blinds are an invitation for the suns rays to penetrate in to your home. Blockout Curtains - not only dress your home and add privacy they also insulate from the heat and the cold - our ready made blockout curtains are exactly what you need to help control the climate in your home. 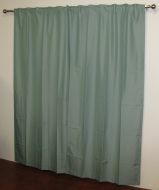 Made with premium curtain fabrics, options include a great colour range in two easy to hang styles. Concealed Tab Top Curtains also known as tab top curtains. 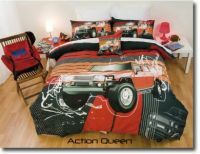 All of our curtains are sent from Melbourne Australia. Quality ready made curtains in full blockout.